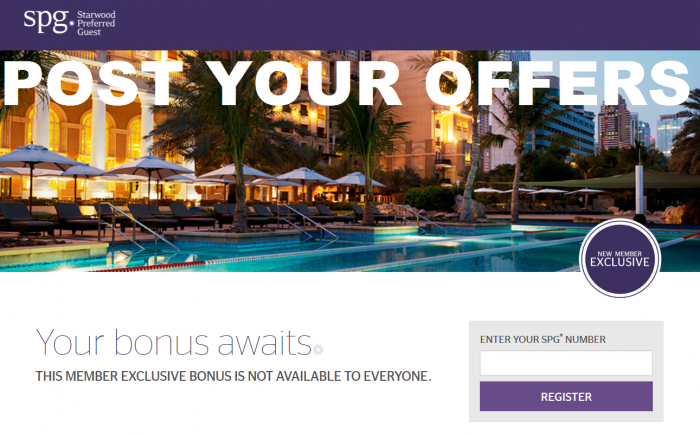 Starwood Preferred Guest (SPG) has launched its sixth iteration of Select Member Exclusive targeted offers. It is unclear from the promo page what the dates and the offers are this time around. You can check your eligibility for this offer here. Previously, targeted members have received bonus points, free night certificates, elite nights etc. Typically the fee night cert offers have been the most lucrative ones. If your account received a targeted offer, please comment below and post a link to the terms and conditions. Alternatively, you can always drop me an email.